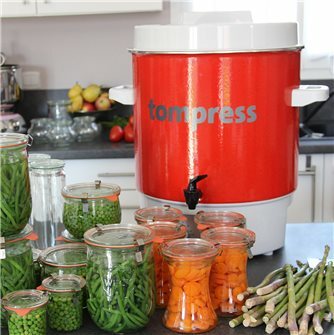 Steam juicer accessory for the Tom Press electric steriliser. 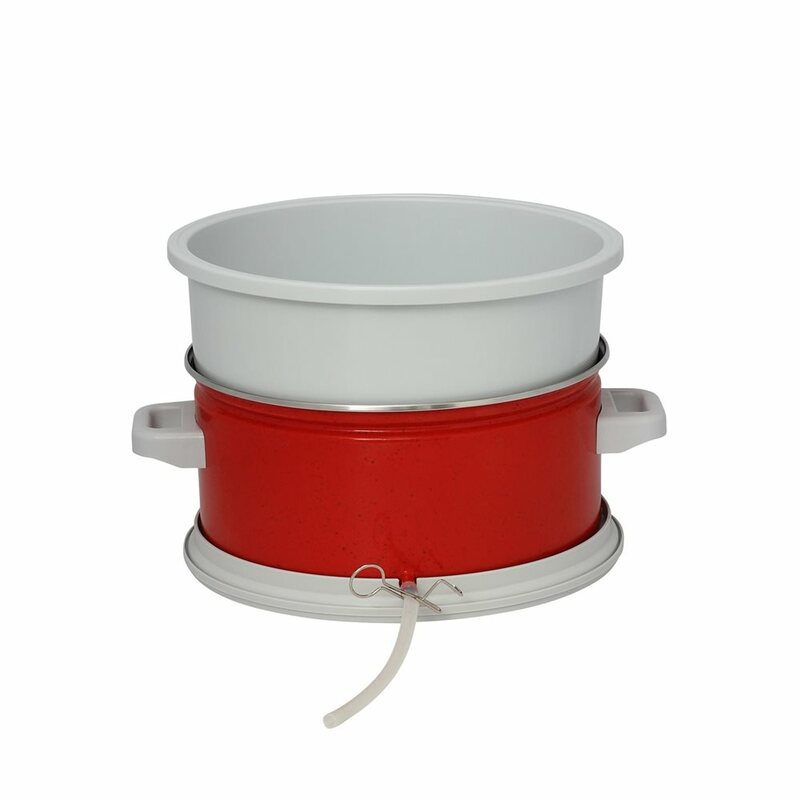 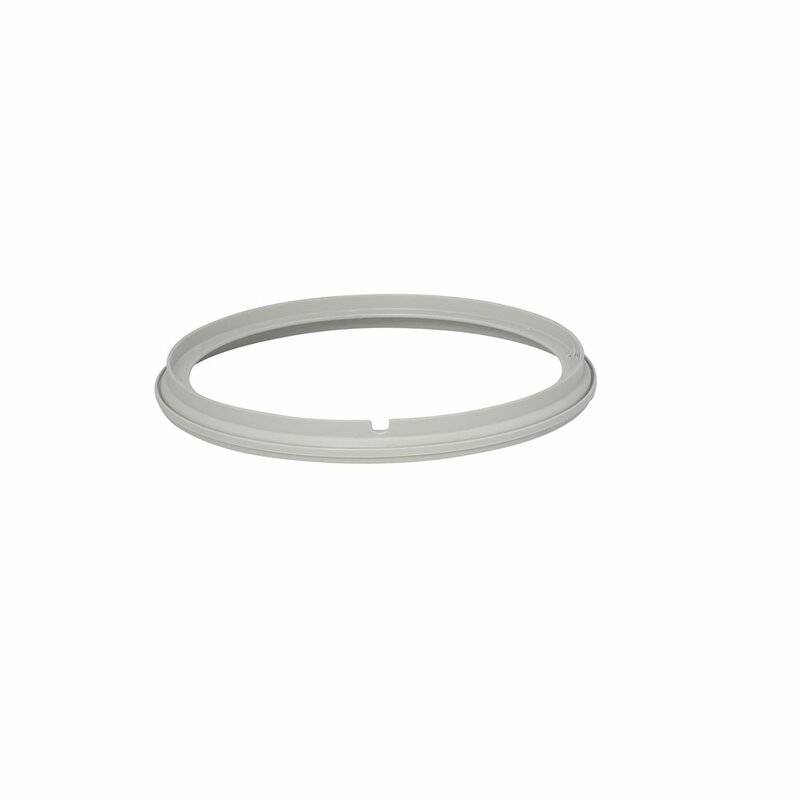 Juice vat in enamelled steel with two layers, resistant to acid. 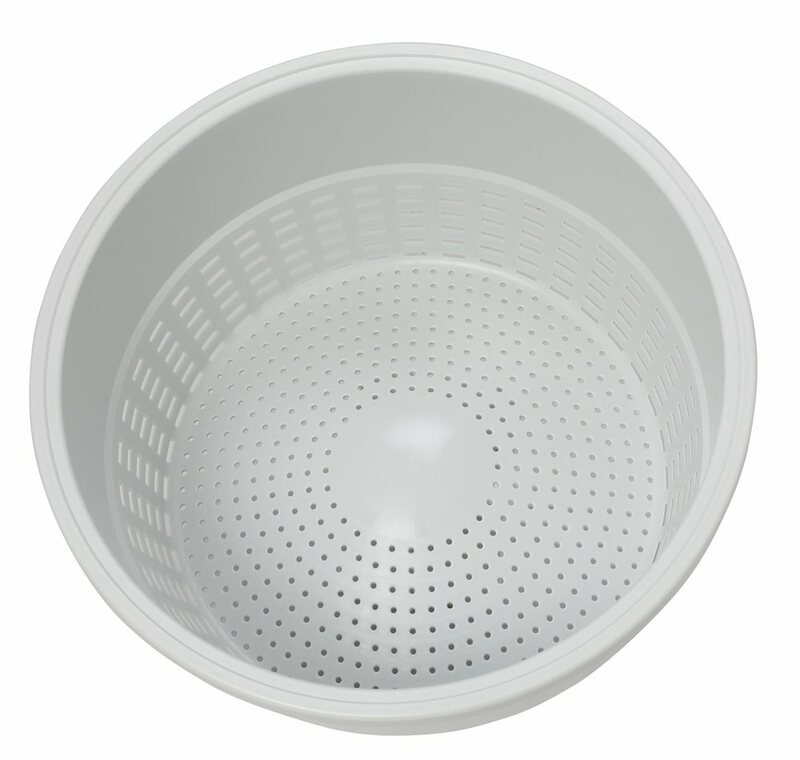 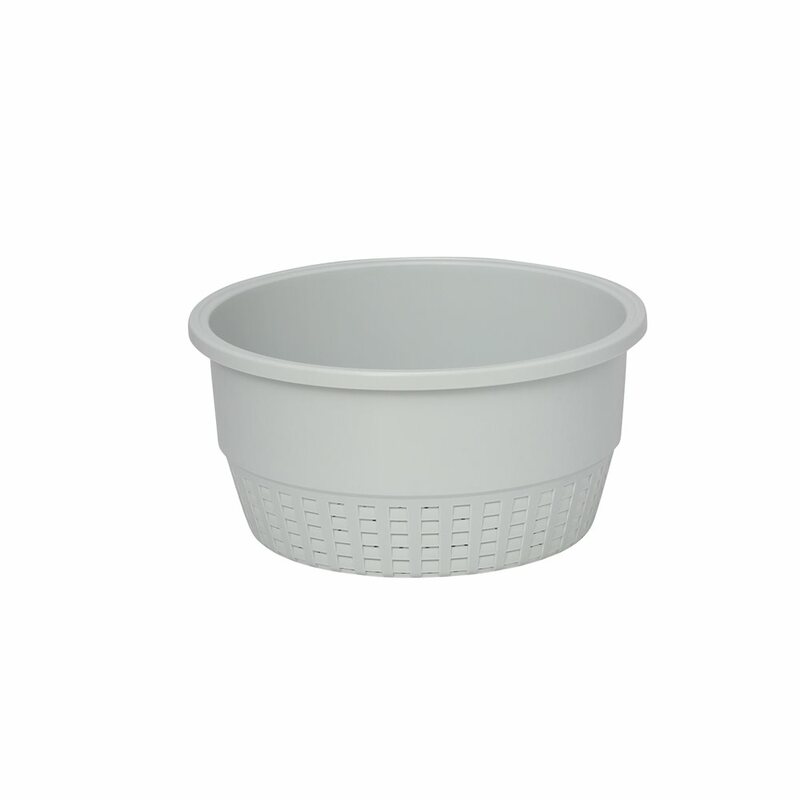 Plastic basket with 12 litre capacity. Can be placed directly over the steriliser. 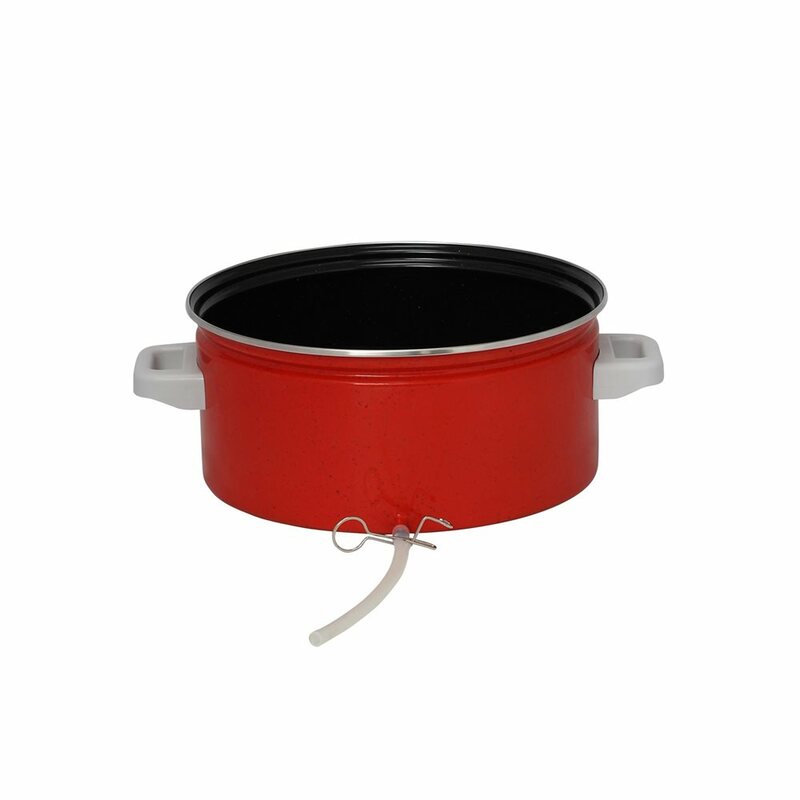 Comes without a lid as it uses the lid from the steriliser. 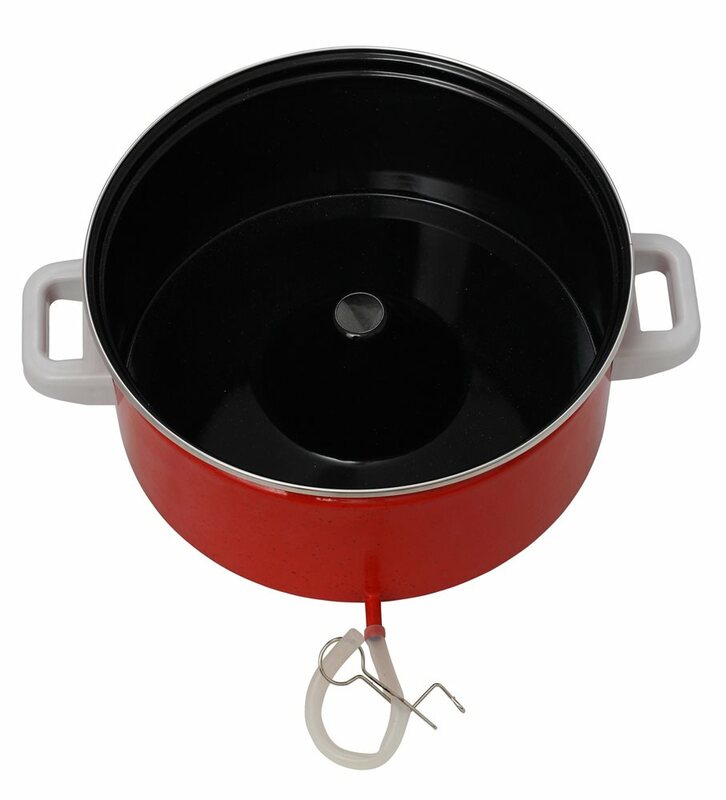 Diameter at the base: 35 cm.